Editor’s note: ESA’s Space Debris team have sent in a final update on the reentry of Tiangong-1. 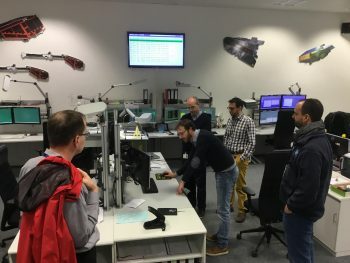 As we posted earlier, around once a year, ESA takes part in a joint tracking campaign run by the Inter Agency Space Debris Coordination Committee (IADC), which consists of experts from 13 space organisations such as NASA, Roscosmos, CNSA and European and other national agencies. With the agreement of all members, Tiangong-1’s reentry was the mission selected for this year’s campaign. During the now-completed campaign, participants pooled their predictions of the time window, as well as their respective tracking datasets obtained from radar and other sources, with the aim of cross-verifying, cross-analysing and improving the prediction accuracy for all members. ESA has been acting as host and administrator for the campaign, as it has done for the about twenty previous IADC test campaigns since 1998. Besides the IADC campaign, ESA also had an operational role: Throughout the past days it supplied its own predictions to national alert and civil protection centres of Member States. Confirmation of this morning’s Tinagong-1 reentry was published by the US military, who issued a press release today at around 04:00 CEST. They stated that reentry had occurred over the southern Pacific Ocean at approximately 5:16 p.m. (PST), which was 02:16 CEST – this was well within ESA’s earlier reentry forecast window, which ran from 23:00 UTC on 1 April to 03:00 UTC on 2 April (01:00 CEST to 05:00 CEST on 2 April). “According to our experience, their assessment is very reliable,” says Holger Krag, Head of ESA’s Space Debris Office. “This corresponds to a geographic latitude of 13.6 degrees South and 164.3 degrees West – near American Samoa in the Pacific, near the international date Line. 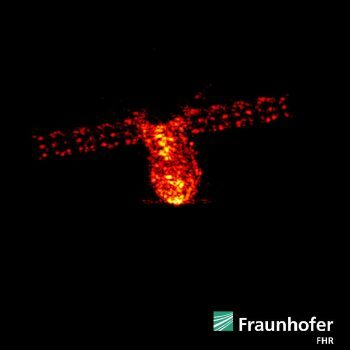 Holger notes that, afterwards, at 04:05 UTC (06:05 CEST), had Tiangong-1 still been in orbit, it would have become visible to the Fraunhofer FHR institute’s TIRA radar, located near Bonn. In fact, the team working at TIRA reported that the spacecraft was no longer visible, giving additional confirmation that it had reentered. Indeed, data supplied by many a number of ESA partners were crucial to enable the space debris team to conduct their work. “We’d certainly like to thank all our partners who supported ESA throughout this campaign,” says Holger. China’s CMSA manned space agency also made a public statement. It’s interesting to note, from a European perspective, how limited our capabilities still are after all. Most of the data on space objects that ESA receives today comes from non-European sources. “This illustrates again the dependence that Europe has on non-European sources of information to properly and accurately manage space traffic, detect reentries such as Tiangong-1 and track space debris that remains in orbit – which routinely threatens ESA, European and other national civil, meteorological, scientific, telecomm and navigation satellites,” says Holger. The US military routinely warns ESA when one of the Agency’s satellites may be at risk for collision with a piece of space debris, an event that is happening with increasing frequency (see Anatomy of a debris incident). Holger points out that Europe also lacks the means to independently confirm reentries the size of Tiangong-1, which occur almost weekly, by using, for example, an infrared tracking payload mounted on a geostationary satellite. He also mentions that, three days ago, solar-generated space weather gave us a surprise, when the Sun’s activity spontaneously dropped compared to what the team expected. 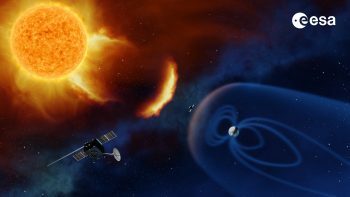 Earlier this year, ESA in cooperation with European industry began a multi-year study to examine a new mission (see “Where no mission has gone before“) that would continuously observe our Sun and provide crucial data that will help us improve our forecasts of solar activity and its effects on spacecraft, satellites in orbit and critical infrastructure on ground such as power grids and oil pipelines. 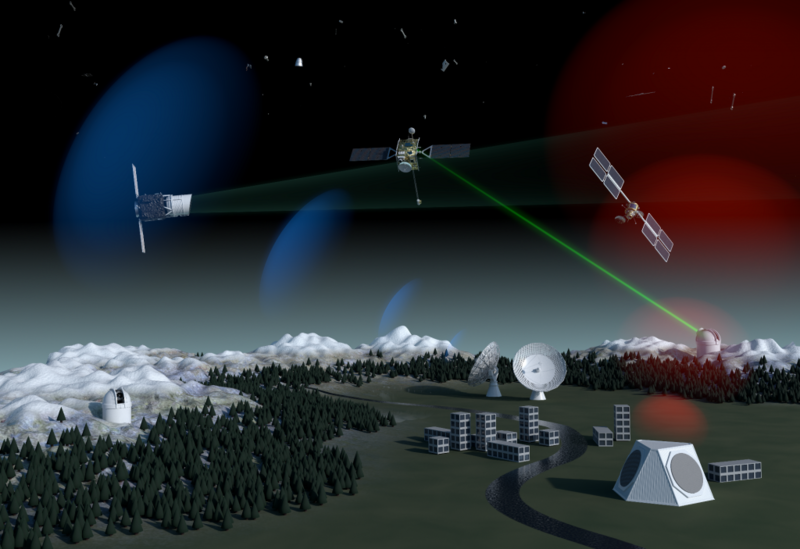 Since 2009, ESA has been developing software, technologies and precursor systems to test a fully European network of radars, telescopes and other detectors that would provide independent data on the risks from spaceflight. “Today, everyone in Europe relies on the US military for space debris orbit data – we lack the radar network and other detectors needed to perform independent tracking and monitoring of objects in space,” says Holger.